Hook of the hamate fractures generally occur from a direct blow or repeated trauma (baseball batting / golf). Ulnar-sided wrist pain. Tenderness distal and radial to the pisiform and dorsally over the ulnar side of the distal carpal row. Allen's test can be used to evaluate for ulnar artery thrombosis. 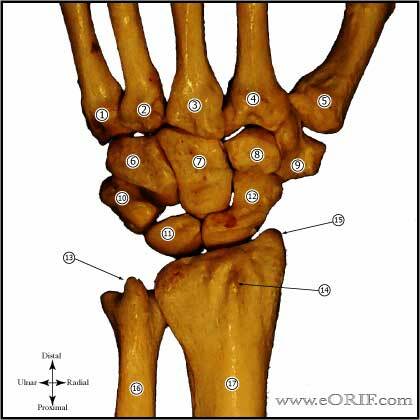 Hook of the hamate fx are best seen on a carpal tunnel view. CT: can confirm diagnosis, indicated for normal xray with high index of suspicion. (Polivy KD, J Hand Surg 1985;10A:101). Hook of the hamate fx: SAC vs excision of fracture fragment.